Almost anything can be done with ruthless determination. Brothers Tanner Howard (Ben Foster) and Toby Howard (Chris Pine) have begun to rob banks in small towns of Texas. Robbery and crime comes easy for lifelong convict Tanner, but Toby, with no criminal record to speak of, is a little taken aback by the action. But it needs to be done in his mind. He owes a ton of child support to his ex-wife, and the Howard farm is up for foreclosure. On the trail of the brotherly due is soon-to-be-retiree ranger Marcus Hamilton (Jeff Bridges). Though unsaid, he’s actually a little afraid of retirement and relishes this one last opportunity to sink his teeth into something substantial with his Hispanic/Native American partner, Alberto (Gil Birmingham). This is old fashioned cops and robbers. Who’s in the right? Is the Western making a comeback? I don’t believe the traditional Western genre will ever be like it once was, but it does feel like Hollywood has been fusing the genre with more modern genres moreso than ever. 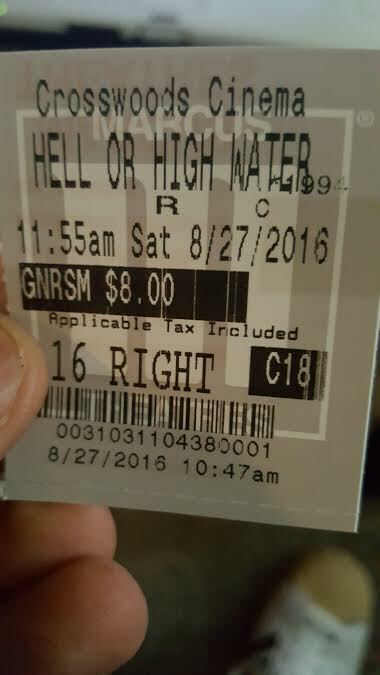 Enter Hell or High Water, a movie that doesn’t carry Western in its genre listing but is pretty much so. It will be hard for any upcoming Western to top the final product here. Director David McKenzie (Perfect Sense) manages the proceedings here. The Texas—technically, New Mexico–backdrop isn’t flashy, but there is something striking about it. But he may be outshined by the screenplay turned in by Taylor Sheridan. Debuting with last year’s Sicario, the man has quickly established himself as a talented writer in less than a year’s time. 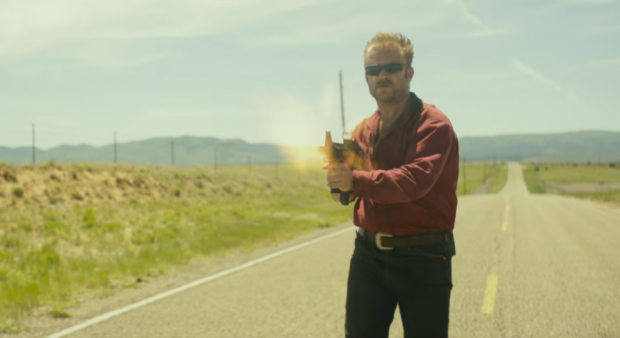 Nothing about Hell or High Water is truly original, but in a way, that makes what Sheridan accomplishes all the more surprising and impressive. At the core, this is a movie about inequality, the 1% versus the 99%. It is a theme that is as old as the beginning of time, and one that is ever-popular in recent years from The Dark Knight Rises to Money Monster. But it is subtle, such as the billboards that the brothers find on the road that bring up debt and quick cash. The script gives reasons to care about the main characters; they’re actually people with believable motivations. And on a basic sense, the characters are just entertaining to hear talk. This isn’t an action-heavy piece, as even the robbery scenes are muted. Dialogue definitely is at the forefront. With a title like Hell or High Water, one might expect nonstop heaviness and grit. What is surprising is how much humor is injected in the movie and how it actually is effective, and its characters are made more endearing for it. 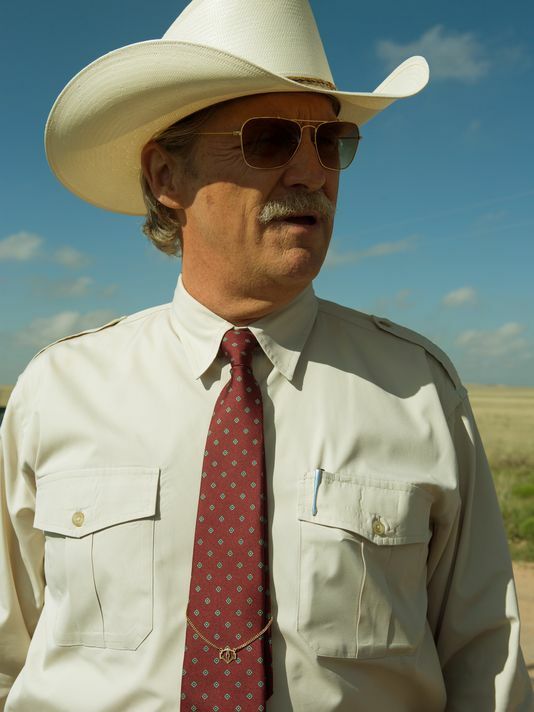 Each of the three main actors, Texas drawls and all, turn in impressive performances. He may not be a lead character in this, but Gil Birmingham flashes great chemistry with Jeff Bridges and their ride-along relationship is entertaining. Bridges himself is a better version of what Tommy Lee Jones’ character was in No Country for Old Men. He understands the situation at hand instead of being taken aback by it, and his zeal for wanting to get the job done is a treat to watch. The dynamic that Ben Foster and Chris Pine show is electric. Character-wise, Tanner should be a guy that is impossible to root for, and yet he isn’t. Ben Foster does stellar work with the role, and gives heart to a semi-unstable character. It is Chris Pine, however, who comes out of this one as the talking point of the film. I’ve always felt he’s had it in him to do this quality of work, and his Toby is likely the high point of his career to this point, and the end scene that is reminiscent to Heat‘s iconic De Niro/Pacino moment seals the deal, his character’s plight, and why. Hell or High Water is high tide for the Western genre. Coming near the end of the summer, it feels like the perfect catalyst to lead into a (hopefully) good fall movie season. Good to see another glowing review for Hell or High Water. This was just such a consistently enjoyable ride from start to finish, and it’s the characters and their motivations that are able to pull us into this complex morality play. One of my favorites of the year, no question. Might it be for you too? I’d say so. I always feel a little less than confident in saying yay or nay because I feel like I miss a legitimate few contenders. So far, absolutely though. Was hooked from start to finish. Just saw this as well. One of the best films of the summer. So surprised that it was released at the tail end of the season with little fanfare. It does seem to be taking off despite the odd release date though. Great review. Anything we can get this summer that is better than average/poor, right Mark? I’d be curious to see if a later release date would have even more people talking about potential award season accolades. Guess we’ll just have to see when that time comes! Regardless, everyone should give this a watch. Very cool review. I’m glad we’re seeing the return of the Western as a genre. I’d agree with you though, I don’t think they could ever be the same as the classics! But I like the way they’re going. Me too. This reimaging of westerns is probably the way to go. I am very excited for the true remake western of The Magnificent Seven however! I’m with you on that! Did you like Bone Tomahawk? Check it out, it definitely goes down the new age Western route!